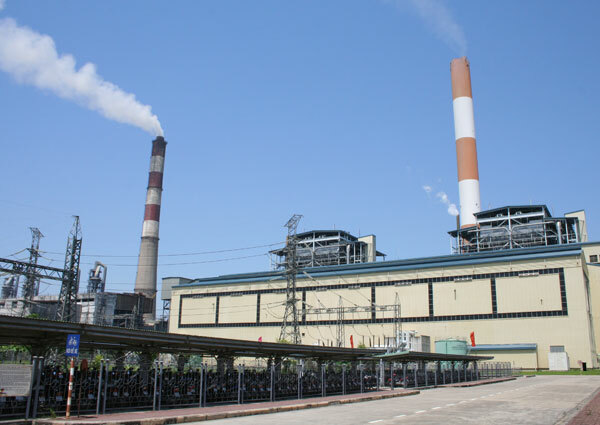 HA NOI (VNS) — Electricity of Viet Nam (EVN) has asked the Prime Minister to issue a special operation mechanism for three Power Generation Corporations (Gencos) before they are privatised, local media reported yesterday. However, details in the proposal and the mechanism have not yet been clarified. The Gencos were founded to comply with the national plan, which took effect in 2012 and aims to develop a competitive power generation market in the country. The companies have to produce electrical power, manage the production line and develop new power projects in order to have a strong financial condition before the privatisation. However, EVN reported that the privatisation of the three Gencos could be hard because they seemed unattractive to investors due to the inability to call for investments in their projects. The Genco headquarters were located in areas that are far from the country's central cities such as Ha Noi and HCM City, and they also had difficulties running and managing their sub-units located in various areas in the country, EVN added. In addition, the Gencos had difficulties in communicating with their agencies, as well as domestic and foreign financial institutions, and in recruiting high-quality human resources. EVN recently sold its entire stakes in the Central Area Electrical Mechanical Company (CEMC) – more than one million shares – and collected VND37.9 billion (US$1.68 million) earlier this month. According to the restructuring plan for EVN in 2012-2015, EVN has to reduce its stakes in seven companies that operate in other sectors. EVN divested from three of the companies – also real estate firms - by the end of last year, including Viet Nam Power Construction Investment JSC, Saigon Vina Real Estate JSC and Central Area Power Real Estate JSC. In four other companies, EVN reduced its stakes in four subsidiaries including the Global Insurance JSC (GIC) and EVN Finance JSC (EVNFinance). By the end of last month, EVN had sold one million shares in GIC to the insurance ERGO International, a sub-unit of Germany-based insurance ERGO Group, reducing its ownership in GIC from 22.5 per cent to 20 per cent. EVN will sell its remaining stakes in GIC at an auction once the State Securities Commission and the Ministry of Industry and Trade approve the plan. In EVNFinance, EVN has sold 58.75 million shares in EVNFinance to cut its ownership from 40 per cent to 16.5 per cent. At the moment, EVN plans to sell investors 3.75 million shares in EVNFinance to cut the stake to 15 per cent. By the end of August, EVN has earned VND958.3 billion ($42.6 million) by divesting from its sub-units that operate in non-power sector. EVN plans to sell all its shares in An Binh Bank (ABB) on October 14, officials said. An Binh Securities (ABS), which will consult for and conduct the auction, said the total 81,587,990 shares, of which EVN holds 76,856,018 and EVN Ha Noi holds 4,731,392, will be sold at the starting price of VND10,000 (45 cents) each. ABS said the registration and deposit period started on September 21 and will run until October 12. Payments can be made between October 15 and 21. EVN used to be the largest shareholder of the bank, with more than 102 million shares, or 21.2 per cent. It sold 25.2 million shares to Geleximco in December 2013. Now, Malaysian Maybank is its largest shareholder, with 20 per cent, EVN is the bank's second-largest shareholder, with 16.02 per cent. Under the Government's plan to restructure EVN, the group, no later than the end of 2015, will make the divestment in the field of banking, finance and insurance, under a government directive to depart from non-core businesses. Apart from ABB, the group will also divest from the Global Insurance Company and EVN Finance Company. It will also reduce its holding stakes in several mechanical firms to less than 50 per cent. ABB has charter capital of VND4.8 trillion ($213.6 million). After the first half of the year, the bank held total assets of VND65.6 trillion ($2.91 billion), an increase of 10 per cent over the same period last year. It also reached a profit before tax of VND179 billion ($7.95 million), an increase of 15 per cent over the same period last year. The bad debt ratio of the bank was also kept under 3 per cent. The bank plans to become one of the leading commercial banks in Viet Nam by 2018.